This is one of the categories of records you'll probably use most often. These records, commonly known as BMDs, detail the most important events in your ancestors' lives and are essential for every family historian. 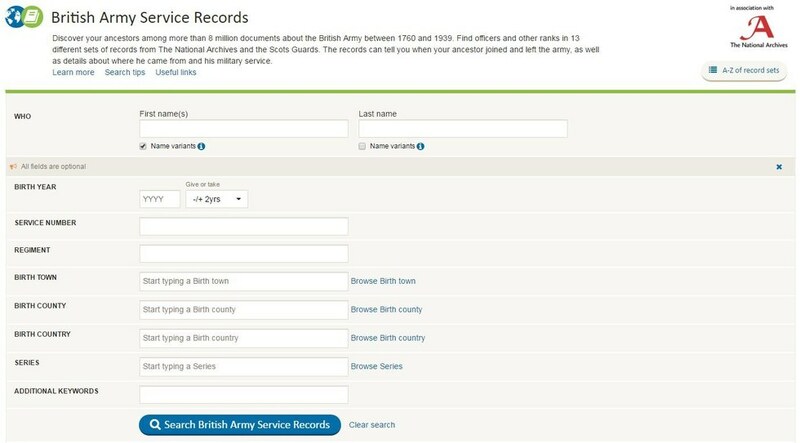 Parish records consist of baptisms, marriages and burials and will usually help you take your research back further. 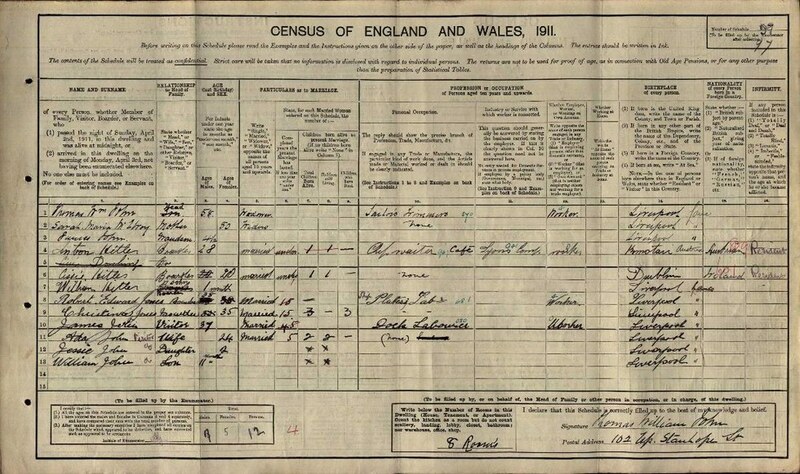 Like BMDs, census records are some of the most used resources in genealogy. 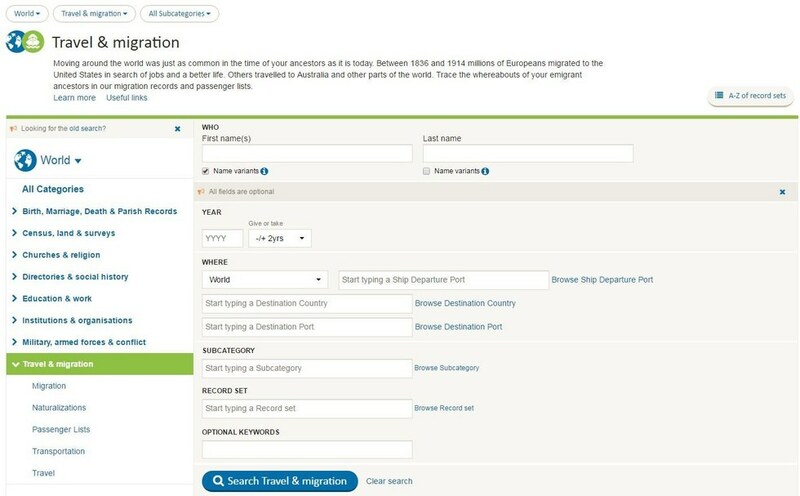 As censuses were usually taken every decade, these detailed collections are fantastic for tracking your family over generations. 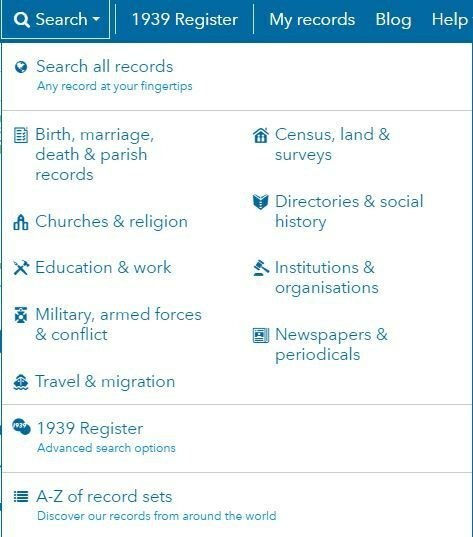 Where censuses don't survive, other land and survey records make useful substitutes and can include electoral rolls, rate books and estate records. 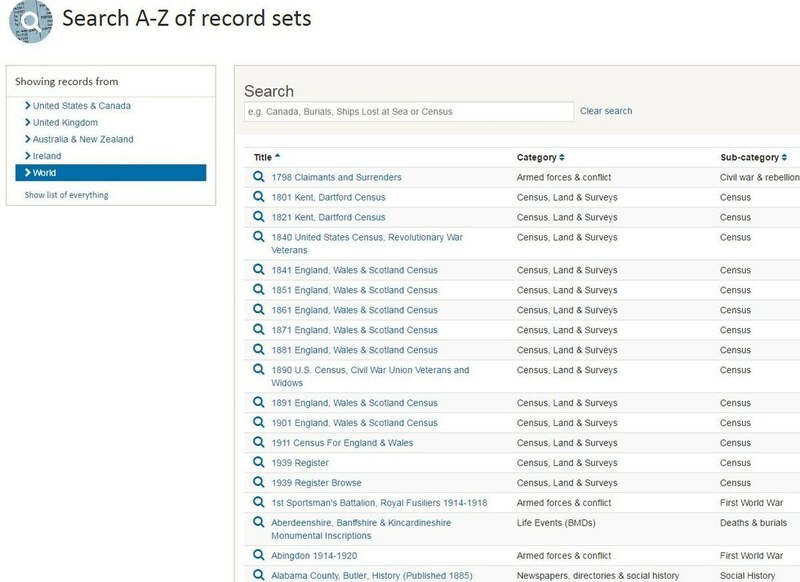 Once you've clicked on the record set you want to search, you'll be taken to its individual search screen, which often includes search fields unique to that record set. 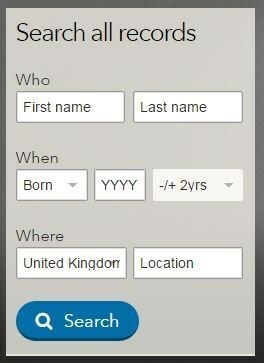 This makes it really useful for pinpointing the specific record you're looking for.